Experts recommend that you prepare the family dog before the baby arrives. It is a very hectic time and a time of many changes when a baby arrives. In order to minimize stress for the dog and reduce the chance of an accident you can make many changes and preparations ahead of time so that the transition is easier for you and the dog. Below we give some tips for preparing the dog before the baby arrives and for after the baby arrives as a newborn. Review all your pet dog's "manners" training. Parents should practice giving cues comfortably in any position. Ex: sitting back on a couch, lying in bed, sitting on the floor. If your dog does not respond to familiar cues such as "sit" and "down" when you are resting in various positions, then you will need to teach him so that he understands no matter what. Sometimes it is not the word "sit" that the dog is responding to, sometimes it is a hand or body signal that you are giving that you don't even know about! 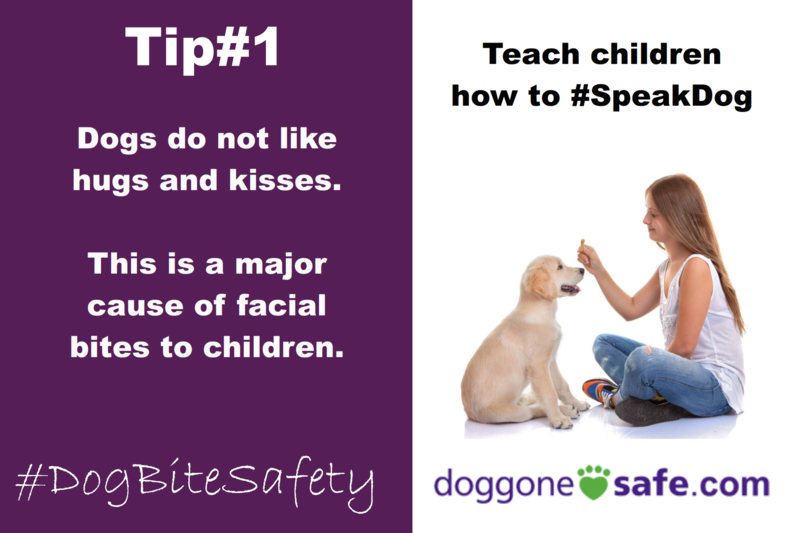 Socialize your dog around children in a positive and controlled environment. 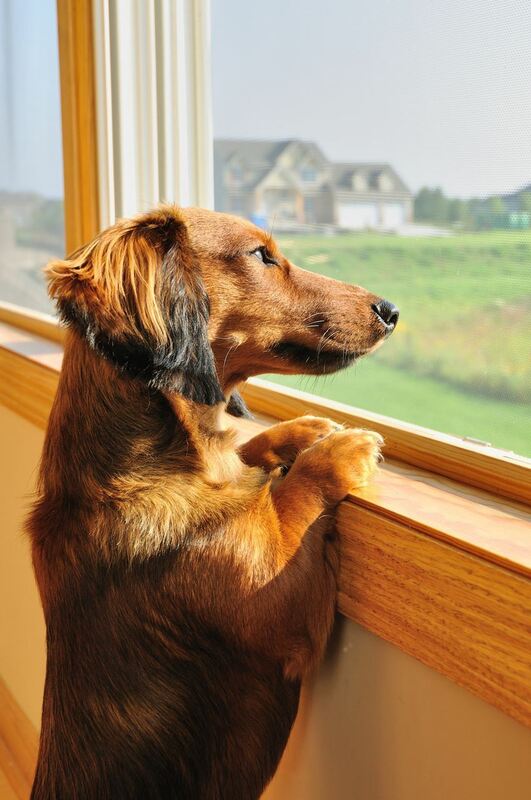 Observe and become aware of how the dog seeks your attention. 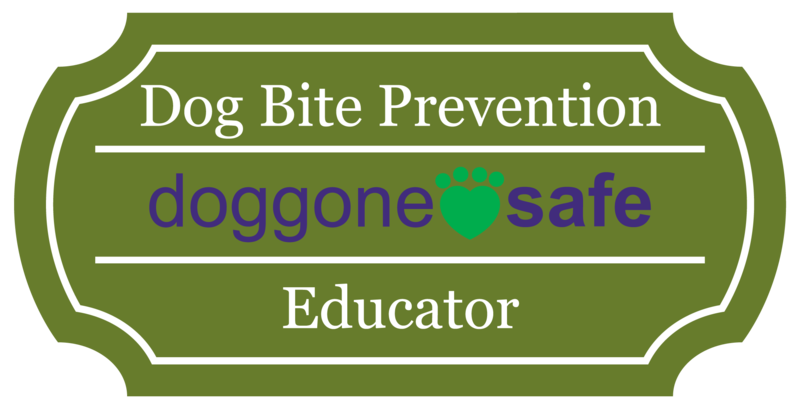 Know your dog’s sensitivities. Research the breed or mixes. Does he startle with fast motion, noises etc. Allow your dog to become familiar with the baby equipment. Teach your dog the behaviors you want around the equipment vs. what you do not want. Doing this ahead makes a world of difference! Parents can use the baby carrier they plan to use with their baby and put a teddy bear in it to get the feeling of what it will be like moving with this. Work with your dog while you wear this. Walk your dog with an empty stroller or one with some weight to it to get a feel for this and what needs to be worked on NOW. Use a CD of baby noises to introduce and create a positive experience prior to the baby’s arrival. Get the baby lotion and put it on the baby carrier, car seat etc. and the teddy you carry in the sling. Bring the same lotion with you to put the same familiar scent on the baby’s clothing for the dog to be familiar with. Have Dad bring home a blanket with the baby’s scent on it. Although Dad will have the scent all over him. The blanket can go in the car seat, swing etc. Schedule your vet visit well ahead of time to be sure to have all meds available. 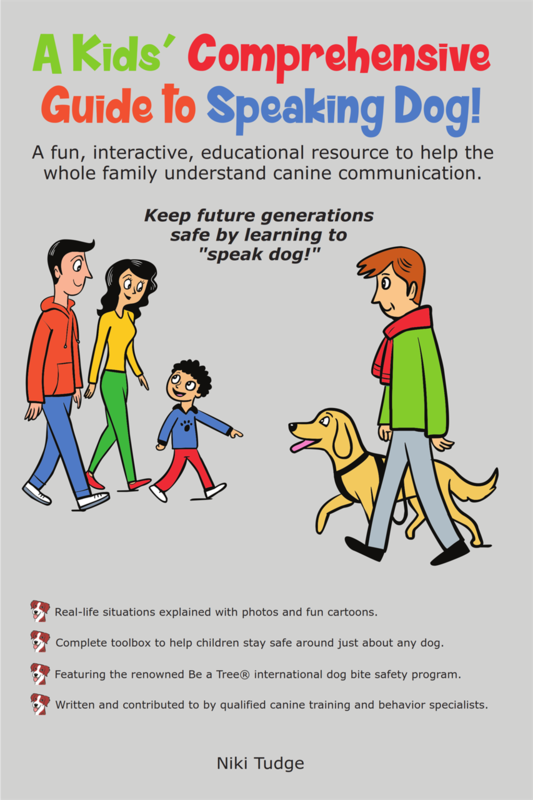 Familiarize your dog with the person that may care for them. Plan a good and safe spot for your diapers! Never leave the baby alone with the dog even for a second. Dogs can become agitated by the sounds and movements of a baby. Dogs have been know to try to move a baby by carrying the baby in their mouths the way a mother dog might do with her puppies. Other dogs have hurt babies because the baby moves and sounds like prey. If you have to go to answer the phone or the door or just get the baby bottle from the other room, take the baby with you or take the dog with you or close a door or a gate to keep them apart. Even 1 second is too long to leave a dog alone with a baby. Keep your baby off the floor when the dog is around. Avoid face to face contact between dog and baby. Keep the dog well exercised. Hire someone to watch the baby or exercise the dog if you can't manage. Be sure the dog has at least 10-15 minutes of one-on-one training time with someone each day. Be sure that the dog has a crate or other safe place where he can be content to be away from the baby. He should have a special bone and chews toys to enjoy in this space. Use only positive reinforcement-based training methods with the dog. Never punish or scold the dog in the presence of the baby. You want all associations with the baby to be positive in the dog's mind. Be very careful with moving baby items such as swings. Some dogs can very excited by these. Never leave the baby in the swing alone with the dog in the room even if the baby is asleep, even if they are both asleep! If you have any concerns at all about your dog's behavior or attitude towards the baby, seek professional help right away.